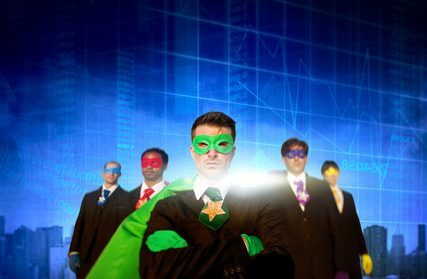 In business, the hero approach is becoming obsolete. Great leaders realize that all of us are smarter than any of us. This collective intelligence – the power of teams – has become supremely important for coping with ever-expanding complexity. So Google set out to research what makes their teams succeed – or fail. The results were surprising. Steve Motenko: Welcome to The Boss Show. I’m Steve Motenko. I am the psychology guy in this duo. I’m a personal and executive coach in the Seattle area, and I do leadership development work with my friend across the table. Jim Hessler: That’s who you’re talking about. I’m the guy across the table. I’m Jim Hessler. I’m the business guy. Steve Motenko: You’re still my friend despite all everything you’ve done to me. Jim Hessler: Thank you. I’m the founder of Path Forward Leadership Development and the author, along with my co-host across the table, of the book Land On Your Feet, Not On Your Face. Steve Motenko: You’re listening to the show for anyone who is or has a boss. We hope to offer you a little bit of workplace wisdom with heart and humor. Today on The Boss Show: what makes great teams tick. There’s some really intriguing research out of Google that’s captured a fair amount of attention in the business and leadership press in the recent months. They went and looked at their poorly functioning teams and their highly functioning teams. They asked, “What is it that makes the difference?” We’ll talk about that later in the show. To set the stage, teamwork is becoming increasingly more important in our culture. That’s been happening for decades now. As most things that change, the pace of that change is accelerating tremendously. It’s no longer about what you can do as an individual. It’s no longer about the hero approach as we talk a lot about in our leadership. Jim Hessler: Yep. The emphasis on collaboration and getting two plus two equals seven instead of four. Steve Motenko: Yeah, which is the definition of synergy. It’s more than the sum of its parts because all of us frankly are smarter than any of us. The Harvard Business Review recently found that the time spent by managers and employees in collaborative activities has ballooned by 50% or more over the past two decades. Again, just another indication. Jim Hessler: Sounds like hard work. Steve Motenko: It is. Teamwork is hard work isn’t it? Steve Motenko: Harvard Business Review also noted in that same article that 75% of an employee’s day is spent communicating. These factoids point to how incredibly important effective teamwork is, such that if you want to outstrip your competitors these days, it’s not about getting people to work well for you as a company, more it’s about getting people to work together well. Jim Hessler: Yeah. That makes us more psychology guys like you? Steve Motenko: Right. Right. The business guy concept is obsolete – becoming completely useless. Jim Hessler: Totally outdated. I’m the buggy whip of American business is what you’re saying. Steve Motenko: Yes. I’m the … iPod. Jim Hessler: That doesn’t work. Steve Motenko: No, not even close. A team that you’re in, of course, as most of you have experienced, can be a source of intense frustration or it can be a source of tremendous satisfaction and fulfillment. Jim, I’m curious, in your storied business career, if you’ve had examples of either or both? Jim Hessler: Yeah, this will be sacrilege considering the subject of today’s topic. I have found that there have been times when the team has been stupider than any of the individuals on the team. Steve Motenko: That I would bet points more to what isn’t working in the team process than about any of the individual mix. Jim Hessler: I think it also can speak to the degree to which the team is constantly sanding off the edges and compromising to appease everybody on the team. I think that’s when a team doesn’t work well is when everybody’s opinion carries equal weight and everybody’s trying to make sure everybody’s happy, right? I’ve seen teams get stupid because of that. Steve Motenko: You talk about false harmony in teams. Jim Hessler: Yeah. I’ve also seen times when … I think my favorite thing in a great team environment is when a younger or less experienced person on the team gets to contribute in a room with people who are older than them or more experienced or high levels on the hierarchy and they get to say, “Wow. I can really contribute at a higher level because of the way this team works.” That’s the most exciting part of working in teams for me is watching those more junior members contribute in a really high level. Steve Motenko: What did Google find are the core characteristics of high performing teams? What do we find, Jim and I, in our work? What’s the secret recipe? After the break, Jim and I will dive into these questions with a little help from Google. Stay with us. What makes great teams tick? You’re listening to The Boss Show. Jim Hessler: I’m Jim Hessler. I’m the business guy. We love to hear from our listeners. We have a listener line at 206-973-7377. We also have an email address, talktous@thebossshow.com. We’ve gotten some really interesting traffic through there that we use on the show. Also, we are on Facebook and we are on the Twitter. Steve Motenko: Yes, and we have our own LinkedIn group. Jim Hessler: Along with Donald Trump on the Twitter. Steve Motenko: Yes. I think I’ll leave that line alone and go right into what we’re talking about on The Boss Show today. In 2012, Google’s project Aristotle, great name for this project, was implemented to study hundreds of Google teams to look at why some succeed and some fail. I think the researchers as I read expected to find from this study is how to compose teams. Steve Motenko: Right. In ways that will make them more successful. Jim Hessler: Like taking draft picks in the NFL. I need a left tackle or a defensive back. Steve Motenko: Right. Different levels of skills and interests and expertise and personality styles. As hard as they looked at the data, they could not find any impact that composition. In other words, the makeup of the individuals in the teams had on the teams success or failure. Jim Hessler: Certainly seems counter-intuitive doesn’t it? It seems like you’d want all these wonderfully cohesive people knitted together by some brilliant stage director, some casting director who had just chosen all these people who knew how to get along really well together. Steve Motenko: Yeah, it makes sense that there’s some alchemy there. All you need is to discover it. Steve Motenko: About whom to put together into groups as to play off each other’s strengths and gaps and so forth. Steve Motenko: It didn’t work out that way. If it’s not about who you put on the team, the only thing left is about how the group process works. Jim Hessler: You’re talking about experience levels. You’re talking about age. You’re talking about gender. You’re talking about all of that. It didn’t matter. Steve Motenko: Right. None of that matter. At least not that they could find. Again, maybe there is some nooks and crannies of the research that they didn’t plumb or the questions they didn’t ask. Jim Hessler: This is one company Google which may in itself have a fairly consistent style among their employees. Steve Motenko: Yeah. Clearly their hiring practices are unique, distinctive. Jim Hessler: There weren’t any truck drivers or blue collar workers or lawyers or whatever on those teams. Steve Motenko: Part fitters, welders, not too many of those at Google. Steve Motenko: Yeah, take all that with a grain of salt. As the psychology guy, what intrigues me is this notion that if it’s not about who you put on the team, it’s got to be about how the team works together and what you can discover about that. Google took it on themselves to say, “Okay, the entry point here then is how what the group norms of behavior are.” You can’t change. To try to go in and change individual personality styles as they show up in group processes, problematic at best. Let’s look at what the group norms of behavior are. Lets see how we can influence those group norms. Steve Motenko: Well, but no. Steve Motenko: You’d think that. You’d think that what they come up with is, “Well, what is the best group norms for groups to work together?” Again, kind of like you think you get the right mix and that makes a group work well? No, you think that you get the right group norms and that makes a group work well? The answer to that question is also no. What it turns out is that different group norms can work very well for different mixes of people. Steve Motenko: They looked at, “Was it more effective for people to openly disagree with one another or should conflicts be played down?” What they found was that the data didn’t offer very clear verdicts on either of those questions or questions similar. What i want to talk to you about when we get back from the break is why those are the wrong questions to ask. Jim Hessler: Mm-hmm (affirmative). Yeah. Steve Motenko: Stay with us. What makes great teams tick? You’re listening to The Boss Show. Jim Hessler: Hi, I’m Jim Hessler. I’m the business guy. Steve Motenko: I’m Steve Motenko. Jim Hessler: I was suppose to talk there, wasn’t I? Steve Motenko: You were and you did. Jim Hessler: Okay, good. Yay. Yay for me. Jim Hessler: No you’re not. You’re psychology guy. Steve Motenko: I’m the psychology guy. You totally screwed me up here. We’re looking today at research that Google recently did on what makes its teams succeed or fail. What we came up with before the break is Google was asking questions like, “Is it better in group norms of behavior to let everyone speak as much as they wanted or should strong group leaders end meandering debates?” The other question they looked at: Was it more effective for people to openly disagree with one another or should conflicts be played down? They found that neither of these was an answerable question. Jim, why do you think? I think it says that there’s a thousand different ways for us to solve problems or get things done together, but you can’t go in with a firmly structured of a idea of how that’s going to look. You and I do workshops all the time, and we have it pretty well scripted out. We have an agenda for our workshops, which you and I would both know that every workshop we do is different. I think if you’re in a facilitated environment where the people are really listening to each other and really attending to the needs of the team, then we don’t have to get rigid about Robert’s rules of order and holding each other accountable, “Well, you shouldn’t have said that,” and things like that. There’s an over-sensitivity, I think, that this is talking about. There’s a sensitivity to just letting things happen in an organic way rather than forcing them into a structure. Steve Motenko: This is so complex because there’s also group norms that evolve from the individual personality styles so that they’re less distant from any of those styles than an imposed set of group norms would be. In my group, I might have a group norm that it’s okay to interrupt each other – to talk over each other all time. This is the kind of conversation, Jim is laughing, that he and I have a lot. Jim Hessler: Because I interrupt a lot. Steve Motenko: He interrupts a lot. I tend not to interrupt at all. Steve Motenko: I’m totally at the other end of the spectrum. Although I think we’ve clearly both moved toward each other to a certain extent. Jim Hessler: Yeah, we have. I would agree. Jim Hessler: Or ethnic. Yeah, yeah. Steve Motenko: Yeah, it’s okay to do that. It’s not about people should not talk over each other. It’s not about setting an absolute group norm that works. It’s about letting the group norm emerge that works for those particular people in that particular mix. Steve Motenko: Right. Then you can have a conversation about how effective is that way of conversing in the context of this before us. Jim Hessler: Right. Is that working for us? Steve Motenko: Exactly, which is the essential of the conversation, I think. When we come back form the break, we’ll talk about two specific behaviors that Google found works. It’s The Boss Show. Jim Hessler: Welcome back. I am Jim Hessler, and I’m the business guy. Steve Motenko: I’m Steven Motenko and I’m not the business guy as I misspoke in your ear recently. Jim Hessler: You just wanted to be. That was Freudian. That was Freudian. Steve Motenko: A wannabe business guy. I’m the psychology guy. We’re talking about Google’s research on what makes teams work really well and how counter-intuitive some of the results of this research is. Jim, I’m going to put you on the spot. You’ve got a group of people that you’re putting together for a project. How do you ensure that the norms of behavior in this group are going to be most effective? Jim Hessler: Well, I saw your notes for the show today and I just wrote down the word facilitation. I know you put me on the spot just now, but I was thinking about this role of the facilitator and how important this role is for leadership in the 21st century. I think that if you have a good facilitator, there’s an effective moderator and an effective control for this sort of problem in a group, right? I think almost all groups tend to have one person who dominates the conversation. In almost all of our workshops we’ve seen one or two people who want to just talk and talk. Often they have a lot to offer that’s really really cool, but what happens is everybody else starts to shut down and get passive and disengaged when it’s just that one person talking. Steve Motenko: I think that’s really important and it ties into two essential pieces that came out of the Google research, which we’ll talk about in a few minutes. How I would answer the question, which of course, is more important than how you would answer the question. Jim Hessler: Mm-hmm (affirmative). Yeah, we know. We all know that by now. Steve Motenko: We go into our leadership workshops and we express community agreements and we try to get buy-ins for those community agreements because we found them by enlarged to work. If you’re putting together a new team, the more buy-in you can get by allowing the community agreements, for want of a better word – group norm, behavioral norms, whatever you want to call them – to emerge from the needs of the group. If you’ve got a bunch of passive people and they don’t want to be interrupted or steamrolled, if you give them the opportunity to express what they need to feel safe in this situation. Steve Motenko: What they need bring their best self forward, their point of view forward, their truth even if it’s not fully formed. Jim Hessler: To feel valued. Jim Hessler: Yeah, like somebody’s really paying attention. Somebody really cares what I think. Steve Motenko: Right, exactly. Both of our answers I think tie into the two essential pieces that came out of Google’s research. To kind of recap very briefly from earlier in the show, they found that the mix of personalities couldn’t determine how well a group functioned. They also couldn’t find specific group norms that they could apply to all group to make them work better, but they found two things. First, they found that when members spoke in roughly the same proportion, roughly not exactly, then teams worked well. This research actually came out of an earlier study at MIT. That’s pointing to exactly what you were just talking about. Jim Hessler: Yeah, again, into thinking of it two ways. Number one, if somebody’s talking too much, it means they’re dominating and they’re not creating space. It also means the other people may not be leaning into the conversation as well as they should. By giving everybody roughly the same proportion, you’re holding everybody accountable for being aware, paying attention to what’s going on in room because you might get called on and you are expected to talk. I think this is just as important as getting the talkers to slow down as getting the non-talkers to talk more. Jim Hessler: If you don’t anticipate that you’re going to be talking during that team meeting, you’re not thinking at the level that you need to be thinking because you’re not expecting to contribute. You’re not as engaged in the conversation. Steve Motenko: Right. Exactly. Yeah, well said. The second item that researchers came up with as being essential to the effective functioning of groups is something that we’ll talk about when we come back from the break. Meanwhile, if you have an idea for a Boss Show topic, contact us at talktous@thebossshow.com. You’re listening to The Boss Show. Jim Hessler: I am Jim Hessler. I’m the business guy. Steve Motenko: I’m Steve Motenko. I’m the psychology guy. We’re talking about the two pieces of research that kind of counter-intuitively have been determined to be essential for teams to be functioning well. The one thing that high-performing teams shared we talked about before the break is that members speak in roughly the same proportion. Everybody gets a chance to talk. Nobody dominates. The second one that completes the picture for me is the idea of high social sensitivity. Group members are tuned into each other. If somebody is feeling offended or put off or in some way abandoned by the conversation or left out, others [inaudible 00:20:26] with that. They tap into other people’s feelings, their tone of voice, their expressions, their body language. When that happens in a group, it almost guarantees that that group is going to do well. Jim Hessler: Yeah, and that’s why I … Again, talking about the manager these days as being a psychologist, you kind of have to watch your team interact with each other. If there’s any conflicts or any ill feeling that team members are having towards each other, that’s going to show up in an enormous way. There’s a lot of degrees of few degrees of separation in any team. If there’s conflict that’s unresolved and people don’t feel good about each other before they step into that team dynamic or that meeting, that’s going to shut people down. Jim Hessler: If you’re pissed off at somebody before you walk into a meeting, you’re not going to have a good meeting. Steve Motenko: Right, unless your relationship with them is such that it’s okay to be pissed off and you leave as friends after you’ve had the requisite shouting match. Jim Hessler: Yes, which you and I have done more than once. Steve Motenko: I don’t know about shouting matches, but you know we interviewed Howard Behar, retired president of Starbucks International. He talked about shouting matches he use to have with Howard Schultz, the legendary Howard Schultz, and they always ended well. With the company growing to where Starbucks obviously grew to. What it all boils down … It’s not about whether you have conflict, it’s about whether people feel safe. This essential notion of psychological safety is created by both of these ideas of members speaking in roughly the same, nobody dominating, and people being tuned into each other. Jim Hessler: Yeah, but the minute we start handing out trigger warnings and things like that in the workplace, we need to be careful about that too. People need to have a certain amount of resilience – psychological resiliency – to be able to be successful in a team environment. Jim Hessler: They’ll self-select out. Yeah. Steve Motenko: Yeah. Interesting conversation. I’ve thoroughly enjoyed this psychological safety. If there’s one thing to focus on and how to make your group work better, you might play with those two words and see what’s possible for making your group perform better. You’re listening to The Boss Show. Voiceover: Now back to Jim Hessler and Steve Motenko. This is the The Boss Show on KOMO News. Steve Motenko: I’m Steve Motenko. I’m the psychology guy. Welcome back. Steve Motenko: You might have a couple of drinks before you do that. Jim Hessler: Yeah, good idea. I’ll be making a presentation in the Seattle area on topic of The Art of Building Influence in the High-Tech World. That’s on August 11th, and this presentation’s being hosted by Expeditors International. It’s open to the public. We will post information about it on Facebook. If you want to register, it’s from 6-8PM. It’s an after-hours thing. Interesting topic. We’d love to see you there. Steve Motenko: The Boss Show is produced by Boss Media Productions. Our sound engineer today is Kevin Dodrill. Jim Hessler: If you missed any of this show, you can get it in it’s entirety online at TheBossShow.com and that’s also where you can go to subscribe to the podcast or to contact us for any reason at all. Steve Motenko: Like maybe to bring us into your workplace to make your leaders better leaders. Jim Hessler: Yeah, we’re good at it. Steve Motenko: You can also subscribe to the podcast on iTunes, on Stitcher, and on SoundCloud. Jim Hessler: Thanks for listening. Steve Motenko: Don’t forget rule number six. Jim Hessler: Rule number six.